The Energy Networks Association is seeking views on how best to create new markets to enable distributed energy resources – including solar panels, batteries and electric vehicles – to provide services to the power grid. The trade body has launched a consultation as part of its Open Networks Project – an industry initiative to facilitate the transition toward a smart energy system. The consultation will examine how to maximise the use of distributed energy resources (DER), deliver access to markets, encourage new business models and secure the greatest benefits from competition and third parties involvement. What models should be used to enable DER to provide multiple services to system operators at both the transmission and distribution level. How system operators can ensure they have sufficient visibility and controllability over DER. And how the curtailment of DER to meet transmission constraints should be treated from a commercial perspective. A major priority for the Open Networks Project is the transformation of distribution network operators (DNOs) into distribution system operators (DSOs). The consultation paper also sets out different models for the relationship between DSOs, the transmission system operator (TSO) and DER. “The smart grid transition has the potential to create a whole new range of market opportunities for new technology and service providers, many of whom will be participating in the UK market place for the first time,” said Energy Networks Association chief executive, David Smith. “Our energy networks increasingly need to access the latest technologies and services in order to ensure continued reliable and cost-effective electricity supply as part of a decarbonised system. The Solar Trade Association (STA) is part of the advisory group for the Open Network Project. 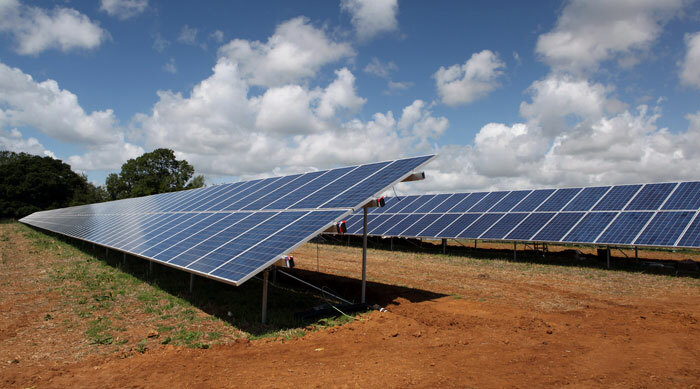 The STA’s head of external affairs, Leonie Greene said: “When it comes to smart power, the STA and its members are especially keen to see progress on creating new local markets that make full use of the multiple services that solar power and storage have to offer. A spokesperson for the Department for Business, Energy and Industrial Strategy commented: “Networks will have an important role to play in the move towards a smart electricity system. Sotiris Georgiopoulos from UK Power Networks, who is leading the ENA’s work to establish a model for the relationship between the TSO and DSOs, said: “The work we are doing to open up our network presents a wealth of new opportunities for flexible energy resources. The deadline for response to the consultation is 29 September 2017.